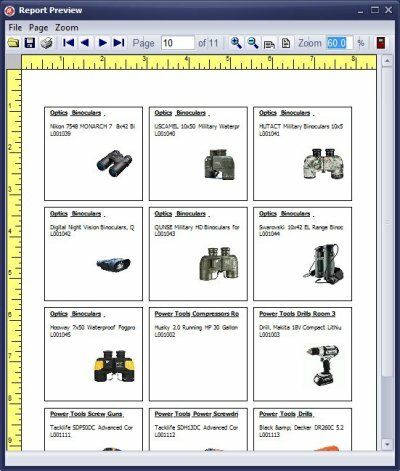 Handy Equipment/Tool Manager Solution: prison equipment tracking software solution for Windows. Enter item, borrower, and place names and you are ready to track movement of your inventory. Check in and check out procedure is very flexible. You can process transactions automatically with barcode scanner or manually selecting items from lists. Review how to implement check in features in your prison facilities. 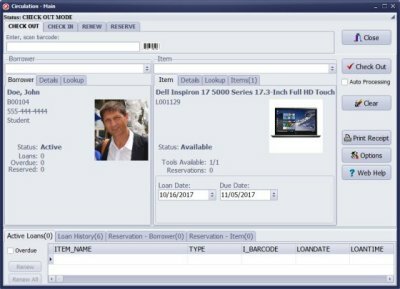 Review how you can use the print feature to generate different prison inventory reports: prison inventory catalog, equipment circulation report, prison inventory value report. The Windows version does not use cloud technology. You don't need the Internet access to run our system. Install the software on your prison desktop or network computers and all features are supported.